Pop Princess Selena Gomez made a young fan's dream come true when she did an adorable dance off at her Revival Tour's meet and greet session. 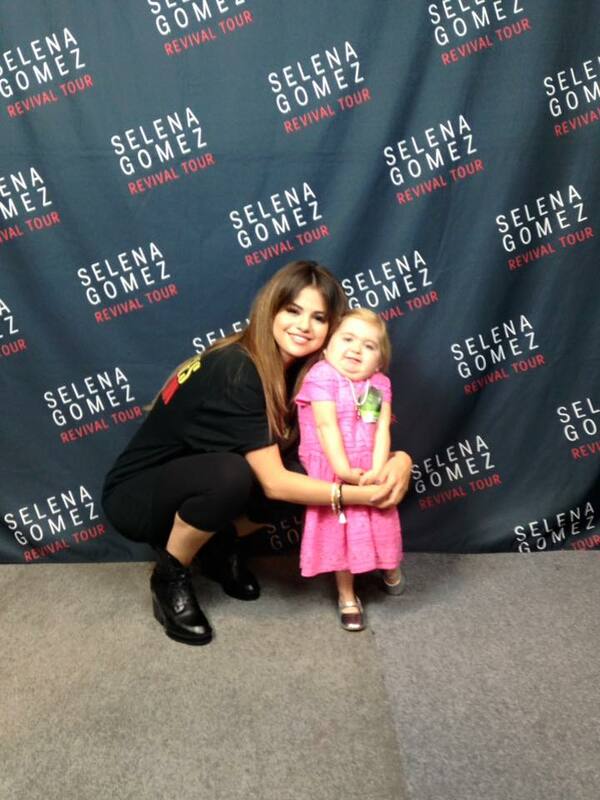 Selena met up with 7 year old Audrey, who suffers from a rare bone marrow disease called 'Diamond Blackfan Anemia, which is characterised by the bone marrow's failure to produce red blood cells. The singer and the little dancing warrior were beyond adorable as they danced off to 'Love You Like A Love Song', and Selena later shared their picture on her Instagram. The pair seemed to have a blast, and we love Selena's humble gesture towards her ill fan.